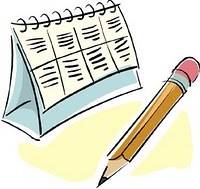 It's time again to mark your calendars and Make Your Reservations for January! We will certainly put those gift cards we receive for Christmas to good use as there are a lot of good books coming out! Here are some of the books we're looking forward to next month. Are any of these upcoming books on your list? If so, which ones? 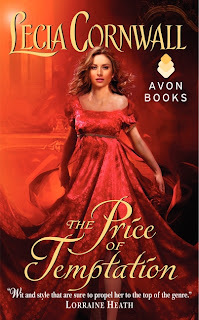 For Olivia Lytton, betrothal to the Duke of Canterwick—hardly a Prince Charming—feels more like a curse than a happily-ever-after. At least his noble status will help her sister, Georgiana, secure an engagement with the brooding, handsome Tarquin, Duke of Sconce, a perfect match for her in every way . . . every way but one. Tarquin has fallen in love with Olivia. Quin never puts passion before reason. And reason says that Georgiana is his ideal bride. But the sensual, fiery, strong-willed Olivia ignites an unknown longing in him— a desire they are both powerless to resist. 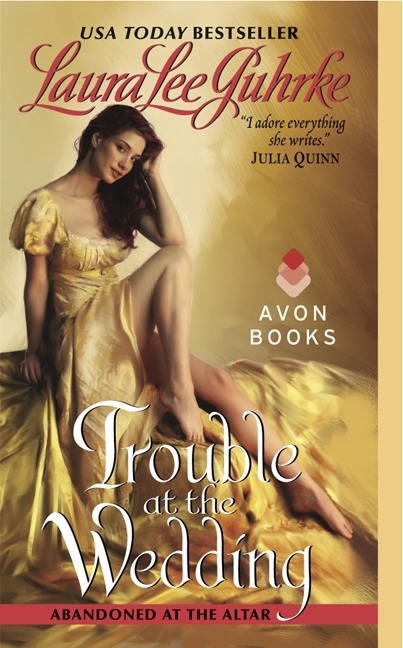 When a scandalous affair begins, they risk losing everything—Olivia’s engagement, her sister’s friendship, and their own fragile love. Only one thing can save them—and it awaits in the bedroom, where a magnificent mattress holds life-changing answers to the greatest romantic riddle of all. Twenty years ago the town bad boy, Cam Murphy, left Eternity Springs in handcuffs, riding in the back of a sheriff’s van...and breaking young Sarah Reese’s heart. The defiant teenager vowed never to return. In Australia, Cam makes a new beginning. He builds a successful business and suffers few regrets until Sarah—and their daughter—walk into his life, and then immediately run away. 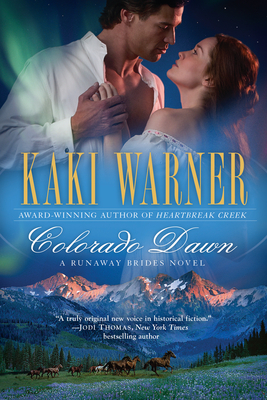 Realizing it’s time to right yesterday’s wrongs, he follows Sarah home to Colorado—and turns her world upside down. Cam wants to know his daughter. He needs to prove to Sarah, the town, and himself that he’s changed. Will the residents of Eternity Springs offer forgiveness—and will Sarah have the courage to trust this man who is asking for a second chance? Ruthless, cold, precise, Julian Spenser, Marquess Dryden, tolerates only the finest— in clothes, in horseflesh, in mistresses. And now he’s found the perfect bride, the one whose dowry will restore his family’s shattered legacy and bring him peace at last: the exquisite heiress Lisbeth Redmond. But one unforgettable encounter with Lisbeth’s paid companion, Phoebe Vale, and the Marquess is undone. This quiet girl with the wicked smile and a wit to match is the first person to see through the icy façade to the fiery man beneath. But their irresistible attraction is a torment as sweet as it is dangerous, for surrendering to their desire could mean losing everything else they ever wanted. 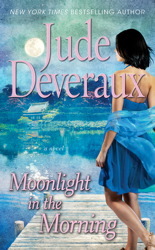 Readers will blaze through Deveraux’s latest contemporary romance set in Edilean, Va. (after Aug. 2011’s Heartwishes). Jecca Layton was raised in New Jersey, but now she’s a committed New Yorker who manages an art gallery and hopes her own paintings will find an audience. 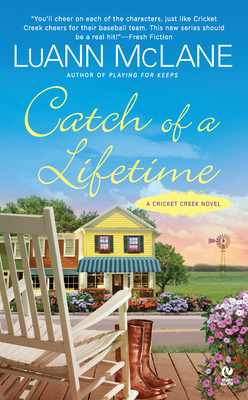 When the gallery closes for the summer, she travels to Edilean to spend time with her friend Kim and possibly reconnect with Kim’s older brother, Reede, whom she met as a teenager. While she doesn’t remember also meeting Dr. Tristan Aldredge, he remembers her, and he’s determined to get her attention. Borrowing from the Cupid and Psyche myth, Deveraux delivers a modern romance addressing relatable relationship obstacles such as the challenges of distance and the need to balance career aspirations. Tristan and Jecca’s chemistry jumps off the page and effective backstory adds depth and realism to their encounters. After only three letters and one visit during her six-year marriage to a Scottish Cavalry Officer, Maddie Wallace decides to build a life without him. Accepting an assignment from a London periodical to photograph the West from a female perspective, she sails from England, determined to build a new life as an independent woman. After injury ends his military career, Angus Wallace returns home to find his wife gone, his family decimated by fever, and himself next in line to an earldom. His new mission is clear--find his wife and sire heirs. His search takes him across an ocean and half a continent, but he finally tracks her to Heartbreak Creek, Colorado. There his biggest challenge awaits--to convince his headstrong wife to return home as his viscountess. Amidst statehood struggles, claim jumping, and railroad disputes their passionate battle rages...until word comes that Angus has become the earl. Now they must decide between a life in the mountains of Colorado, or in the glittering ballrooms of London...and between duty and desire. A modest and refined beauty, Isabel is a lot more brazen than she appears. When a pickpocket tries to make away with Vane’s bejeweled snuffbox, Isabel attempts to thwart his escape...and manages to steal Vane’s heart. But the harder he tries to seduce the sharp-tongued, strong-willed Isabel, the more she resists. Now it’s up to this tried-and-true bachelor to find a new way to play the game...or risk losing the one woman who’s ever captured his heart. She’ll find him a bride if it’s the last thing she does. And it very well might be. 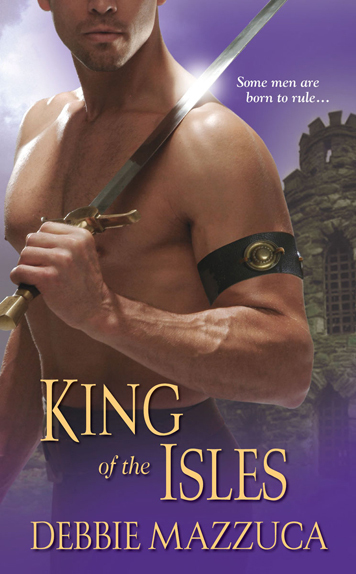 Evangeline may be powerfully persuasive in her way, but convincing the notoriously wild Highland king Lachlan MacLeod to strengthen his alliances with a strategic marriage seems to be asking the impossible. Stubborn and proud, Lachlan seems determined to go against her will, even if it means endangering the people he’s sworn to protect and the enchanted isle that has already seen so much discord. Lady Evelyn Renshaw can ignore the disgrace her former husband has brought down upon her. She can even disregard the accusations. But when her life is threatened because of his actions, she realizes a stiff upper lip won’t be enough to keep her safe. So she hires a new footman powerful enough to protect her...only to find herself shamelessly intoxicated by his breathtaking masculinity. So many beautiful covers. I think they get better and better each year and can't forget the stories as well. Reservations are made! I'm really looking forward to Julie Anne's "How the Marquess Was Won." Wow, Andrea, what a lot of good reading to look forward to in the new year. I'm making my list and checking it twice! Teresa Medeiros and I justwon an ARC of it! These are all must buys, but I am very tempted by all the rest! Bride by Mistake is on the list. Also The Black Hawk which is not released here til January and The Capture of the Earl of Glencrae, the final book in the Cynster sisteers trilogy. I might be tempted by some of the others featured here too. and if my purse survives those I am tempted by the others as well. I agree, Na. They've been coming out with some gorgeous covers lately. Such beautiful, vibrant colors! Jane said, I'm really looking forward to Julie Anne's "How the Marquess Was Won." Me too, Jane! I've been reading the Pennyroyal Green books since the beginning and love this series more with each book Long writes! Flora, that's a good list! 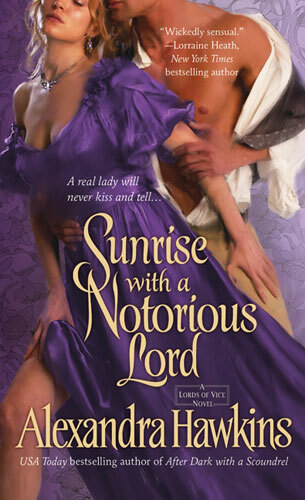 I've already read The Duke is Mine and The Pleasure of Your Kiss and loved them. The published copies I have on pre-order will both go to my keeper shelves. An ARC of Bride by Mistake is on its way to me. I can't wait to get back to the Devil Riders! 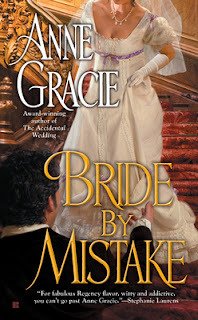 Anne Gracie will be blogging with us here at the Romance Dish on December 29th. Beebs, I've really enjoyed the Cynster sisters and can't wait to read the Earl's book! 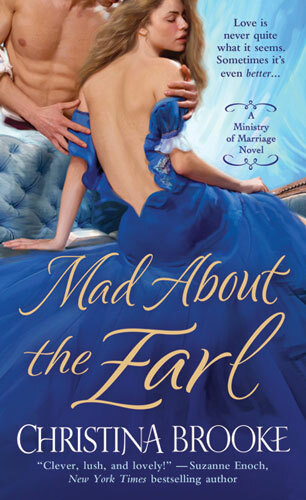 Dianna, Mad About the Earl is on my list too. I loved the first book in Christina's new series and have been counting down the days until this next one! Na, I thought the exact same thing when I was putting this blog together. The covers are gorgeous! Jane, I have recently discovered Julie Anne Long (with What I Did for a Duke), so I am really looking forward to her upcoming one!! Flora...I know, right?! We'll be set for awhile with all these great books. ;-) Congrats on winning Terri's ARC! Great list, Beebs. I hope you enjoy them! Dianna said: and if my purse survives those I am tempted by the others as well. I'm going to start sending out hints for book buying gift cards. I want to read all of them!! Thanks for the reminder that 2012 is beginning with such reading riches. I've read The Duke Is Mine, How the Marquess Was Won, and Trouble at the Wedding and loved them all. James, Long, and Guhrke are all autobuys for me. A new book from another autobuy, Anne Gracie, is always cause for celebration. I love the Devil Riders and am eager to read Luke's book. I'm also excited about new books from more auto-buy authors: Teresa Medeiros (Sixteen months is too long without a TM historical), Emily March (I loved her Christmas short and look forward to another trip to Eternity Springs), Kaki Warner (I've been ready for the second Runaway Bride since I turned the last page of the first), LuAnn McLane (a retired baseball player sounds delightful), and Christina Brooke (The Ministry of Marriage is fascinating). 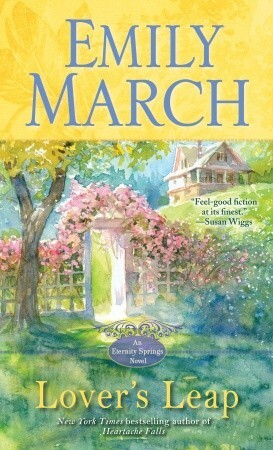 JoAnn Ross has a new Shelter Bay novel releasing next month too, On Lavendar Lane. I'm also eager to read that one. Thank goodness for Christmas gift cards! Pre-ordered Julie Anne's "How The Marquess Was Won". Can't wait! 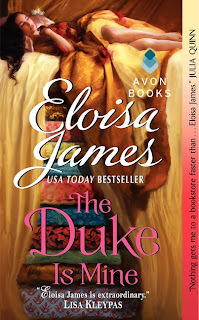 I absolutely can not wait to read The Duke is Mine! 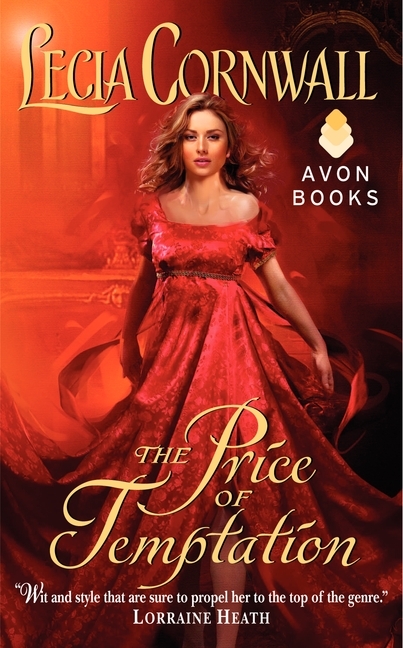 This is her most gorgeous cover so far as well (one of my favorite fairytales!) :) Very excited! How the Marquess Was Won is already a pre-order for me! Love Julie Anne's series! What an appealing list! I'm especially looking forward to the Christina Brooke, but lots of these are tempting. Great list of books, can't wait for Emily March's book and Kaki Warners books, love both of those authors. @ Laurie G -- I know! Me, too! I'm glad to hear the ones you've read are good, Janga!! Me, too, Christy! I am totally hooked on her work! I love that cover, too, kara-karina. All her fairy tales covers are gorgeous! Dtchycat, I will be at my local B&N on December 27th to get Julie's...and they'd better have it! Nancy, I can't wait for Christina's, too. Should be another good one! I hope you enjoy them, Virginia! Wow! We really recommended a lot of books this month. ;-) How in the world will I ever catch up on my reading when I keep adding more fabulous books?? Some great books there, but the one I'm most looking forward to is The Duke is Mine. Can't wait! What a great bunch of books to look forward to! 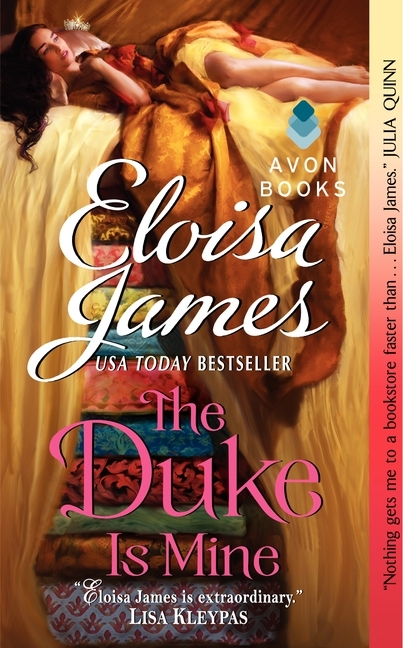 :) I absolutely can't wait to read Eloisa's The Duke is Mine, and the new LLG. I read and enjoyed Christina Brooke's Ministry of Marriage book, and will definitely check it out. Wow, there isn't one on this list that I don't want to read. The hard part will be deciding which one to get first.